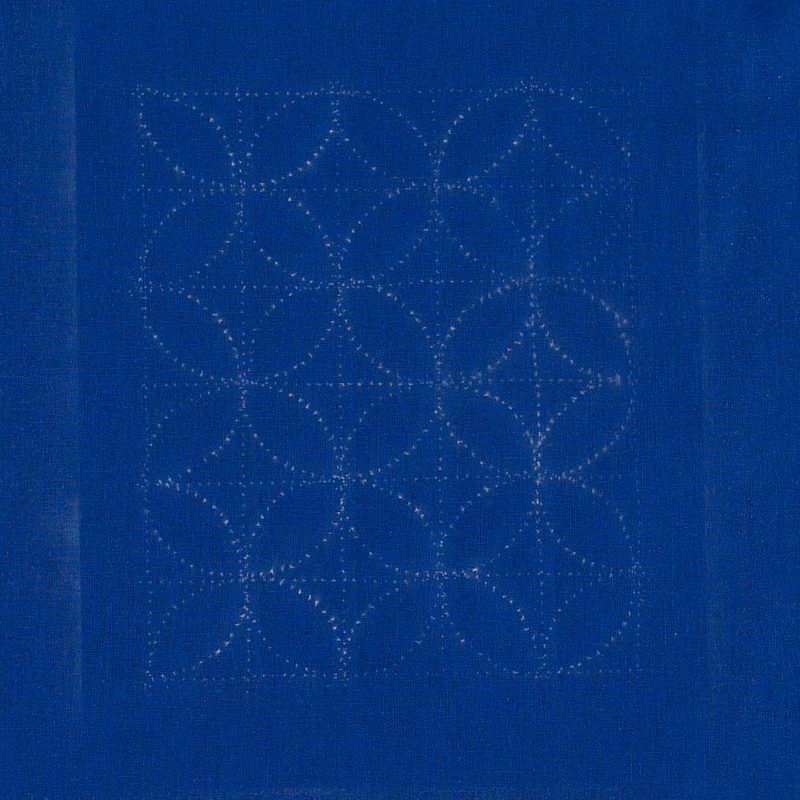 Sashiko is a popular hand-embroidery technique that originated in Japan. Most commonly, it involves white stitching on an indigo fabric in geometric patterns. Often, sashiko is done as all-over patterns that cover a whole area of fabric. 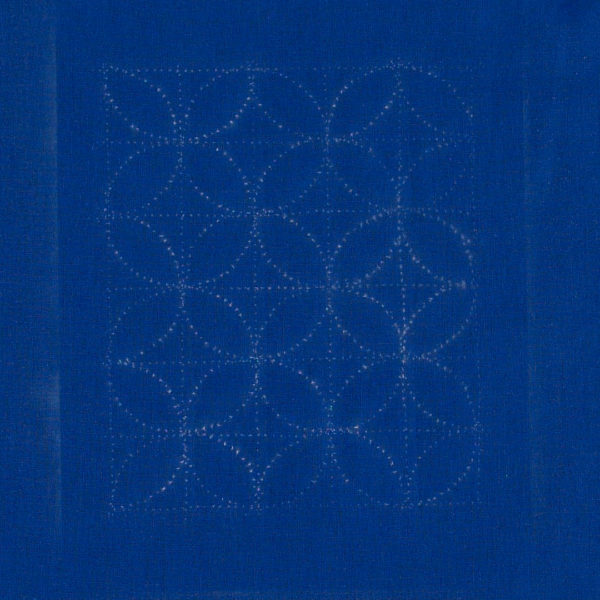 The long, separated stitches of sashiko give it a unique look that normally can only be achieved by hand. 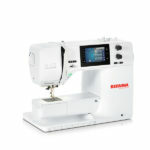 But, with the right tools, you can get this look on your sewing machine! I did this project on the BERNINA 475, but you could use any BERNINA with a hand-look quilt stitch. 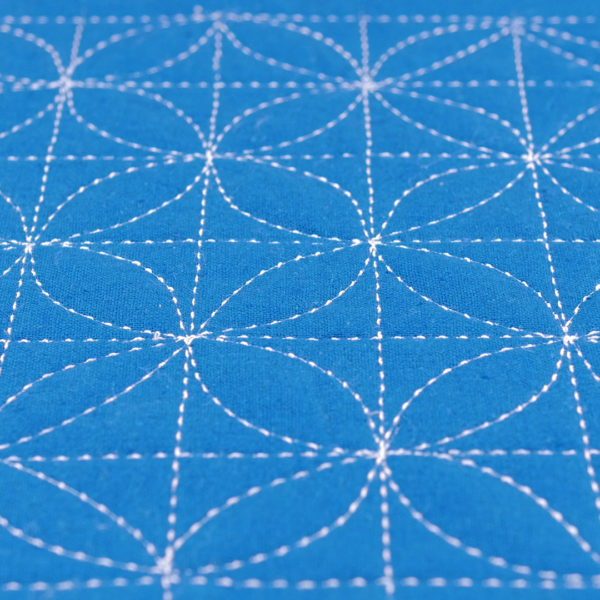 For this technique, you will need a paper pattern of your sashiko design. 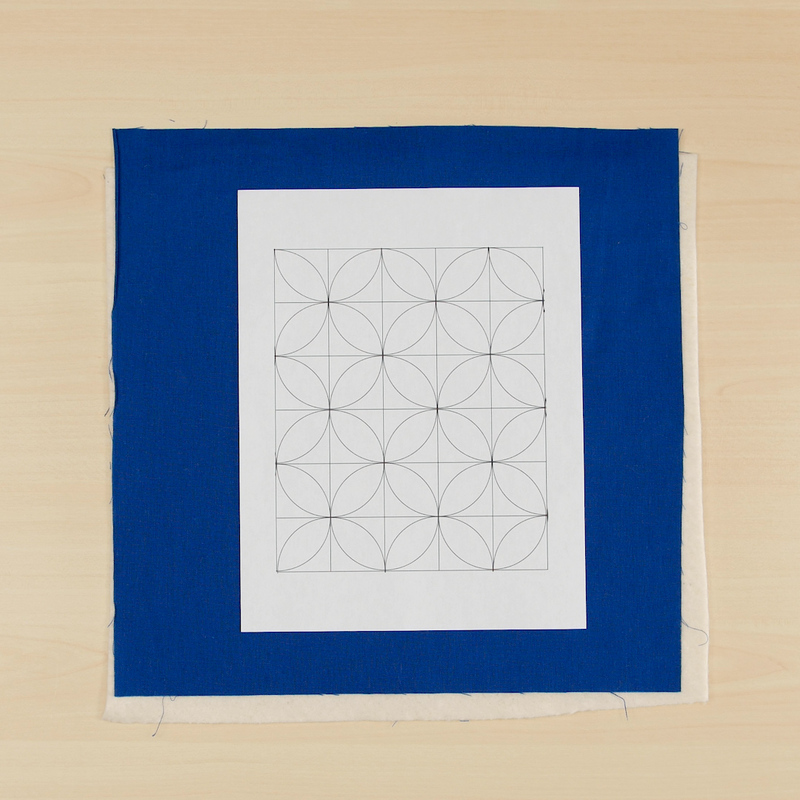 You can draw your own, or trace one from a purchased sashiko pattern. Or, if you want to give this technique a try, you download this free pattern, featuring the classic “orange peel” design. Once you’ve gathered your materials, you can prep your fabric. 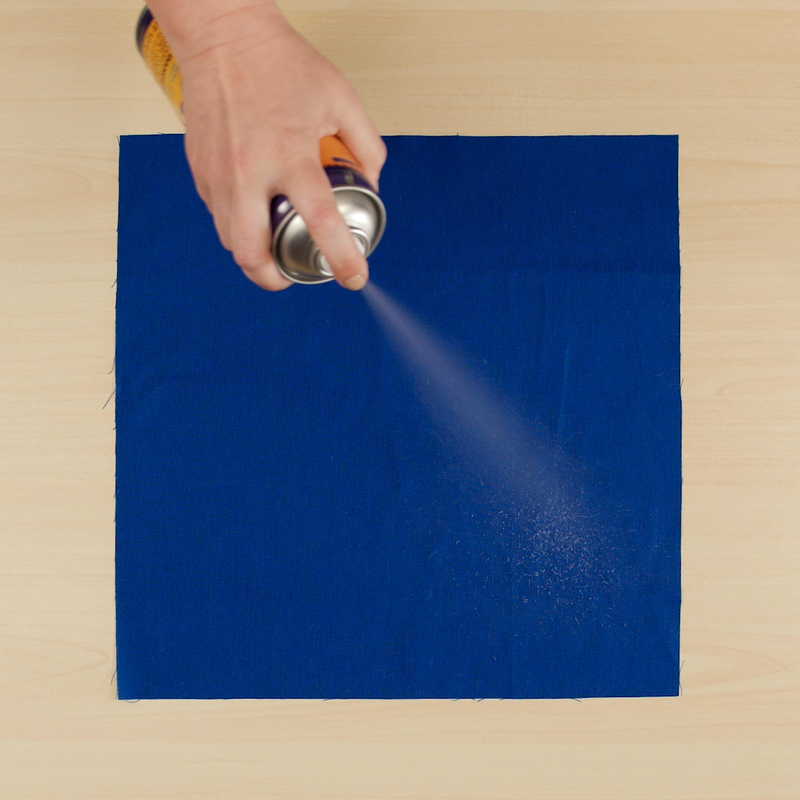 Spray your backing fabric with temporary adhesive spray. Then layer your batting on top. Spray the batting with adhesive spray, and then add the top fabric. 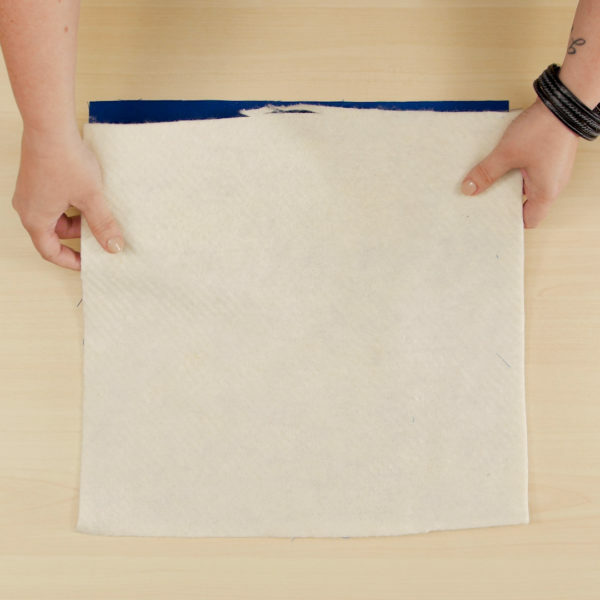 Spray the back of your printed pattern with adhesive spray, and lay it over the top of your fabric. 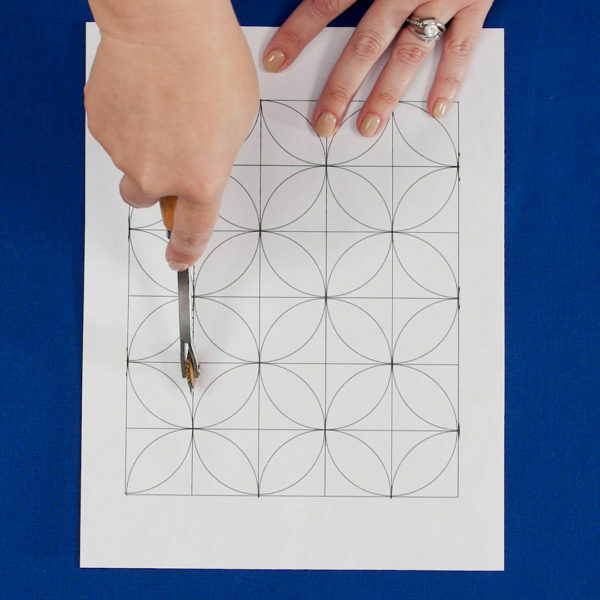 Now, use the tracing wheel and trace the lines of the pattern. Work slowly to ensure you stay on the lines. NOTE: It’s important that you layer your batting BEFORE you trace the pattern, so the spikes of the tracing wheel have a place to pierce into. Now, dust over the pattern using a chalk duster. Be sure to apply plenty of chalk, as it will be very difficult to line your pattern back up if you don’t get enough chalk the first time. Carefully peel away the paper pattern to reveal the now-chalked pattern. I love how the chalked pattern looks! Now it’s time to set up the machine. 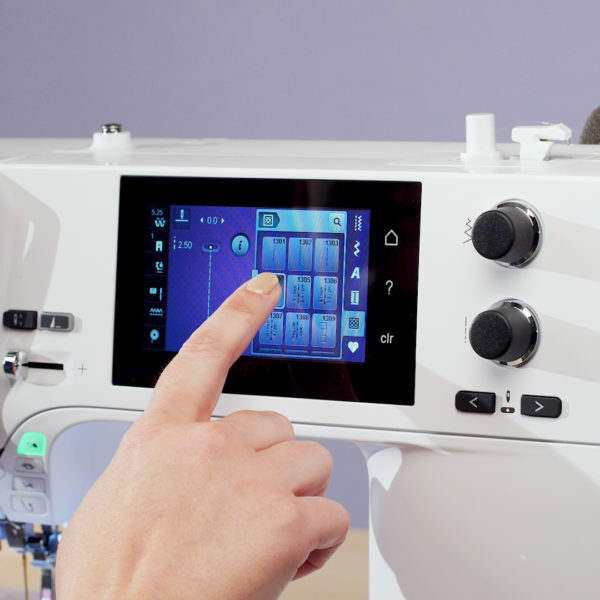 Select the hand-look quilt stitch on your machine, found in the quilting stitches menu. This stitch is specially set up to use a forward and back stitch to pull up the bobbin thread to give us the hand-stitched look. Selecting this stitch will also automatically increase the top tension. Insert a size 100 topstitch needle. 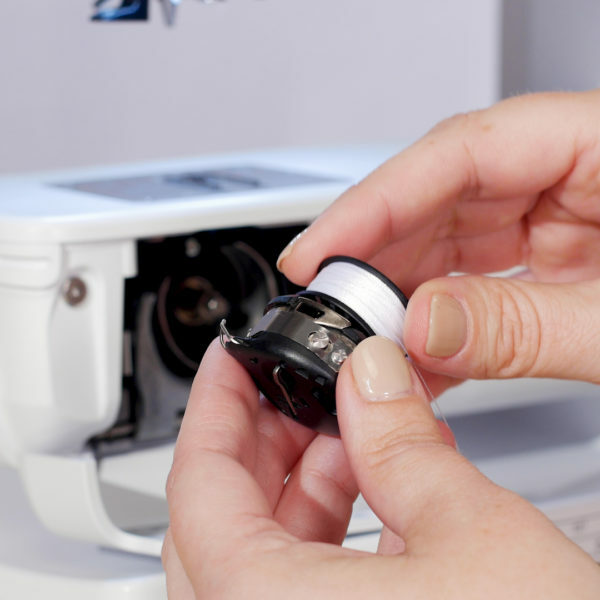 The larger eye of the topstitch needle will help the monofilament thread to run more smoothly, and the larger shaft of the large needle makes a bigger hole in the fabric, allowing the bobbin thread to pull up more easily. Thread the top thread with monofilament thread. If you haven’t worked with monofilament thread before, you’ll find it feels a lot different than regular thread. It has some “springiness” to it, so you’ll need to thread carefully and sew slowly. 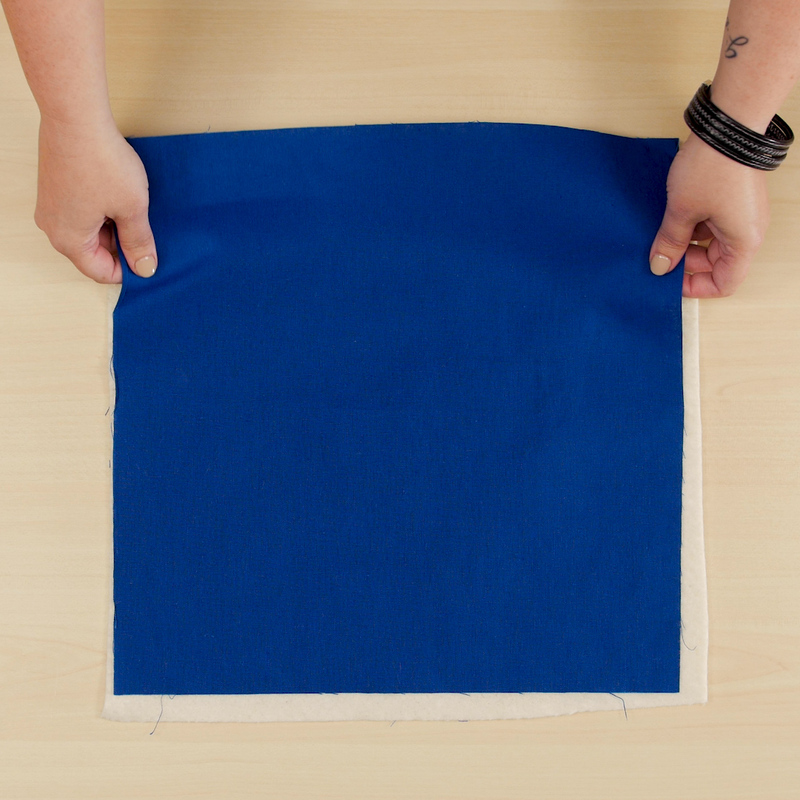 Before you begin stitching on your actual project, do some test stitching on a scrap. This will give you a chance to get a feel for the stitch. Begin stitching on your project, following your chalk lines. 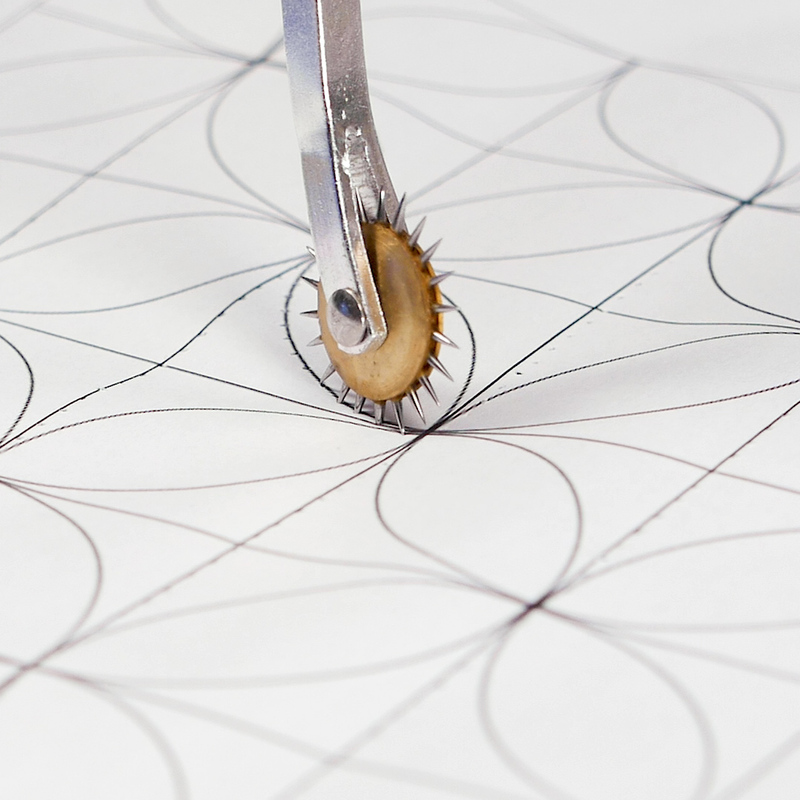 If you are doing the orange peel pattern, do all the straight lines first. When stitching the curved lines, try to stitch as much as possible in one continuous line to get the smoothest look. 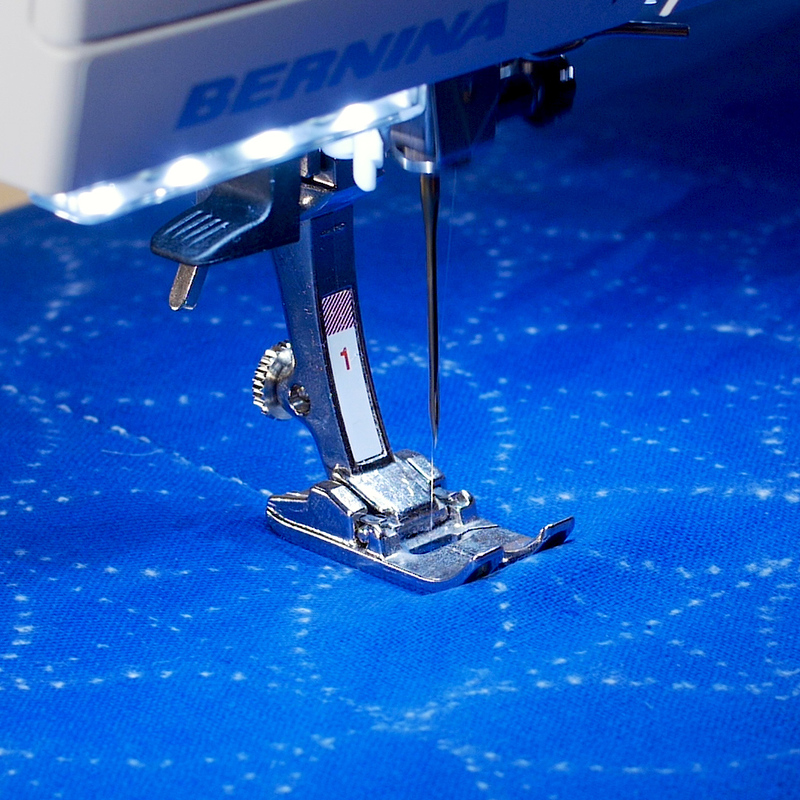 As you stitch curves, you may need to pause and pivot your fabric occasionally. Engage the Needle Stop Down function and use the Free Hand System to lift your presser foot for easy pivoting. Keep stitching until you’ve covered all your lines. 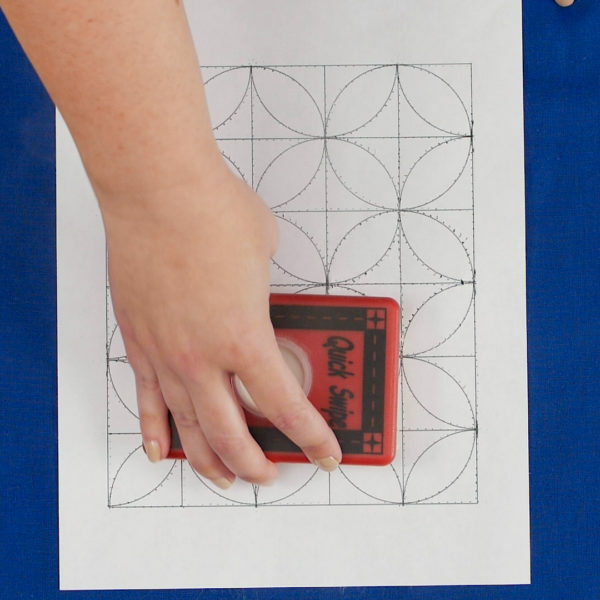 You can use this technique to prepare a bag panel, quilt block, or garment detail. Next Next post: Handmade Holiday Gifts for Guys + Giveaway! Where do l find the free download pattern for this ? Orange peel pattern for the pdf file. In the list of materials, click on the underlined orange peel pattern. Hi Janette – there is a link to the pattern in the supply list above – “Orange Peel Pattern”. I love this! I was thinking about using it for a sewing bag and then, when I got to the end, I saw you put that idea and others out there. Thank you! I notice in the picture showing inserting the needle, they are using some kind of needle holder. 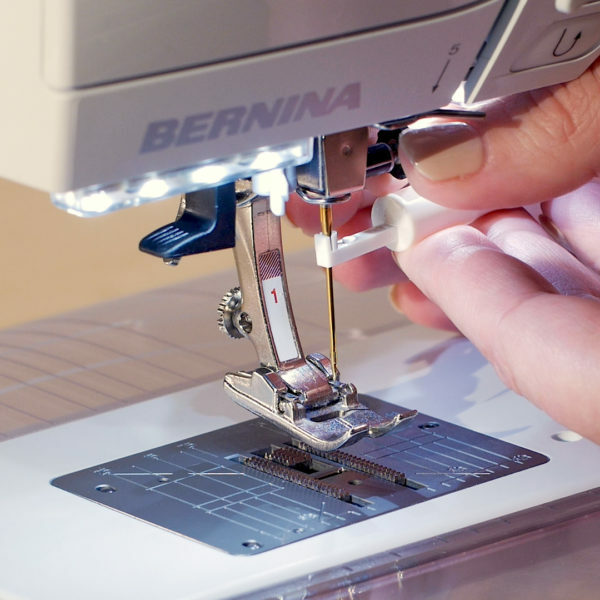 Is this a Bernina product? 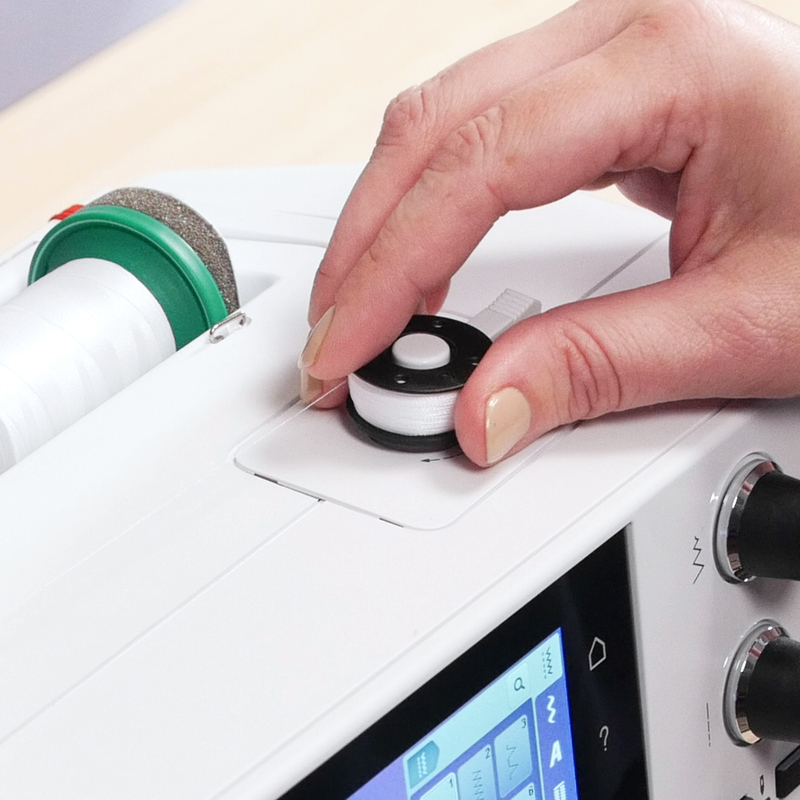 It is a needle tool/brush, and it is an accessory that comes with BERNINA overlockers – your dealer can order one for you! What weight embroidery thread do you use for this? and do you wind it by hand onto the bobbin? A 40 weight embroidery thread works great – and it can be wound as normal. I have a Bernina 550QE and I tried to use the quilt stitch but it couldn’t be seen. Hi! Do you mean the bobbin thread didn’t pull to the top? Try tightening the top tension. Also, using the right weight thread is really important – a 40 weight embroidery thread works very well. I am confused here. Do I understand this correctly that the monofilament is the top thread and one uses the reverse side as the outer side for the finished product? Thank you. Hi! The monofilament is the top thread, and the white stitching that you see is the bobbin thread that is pulling to the top. 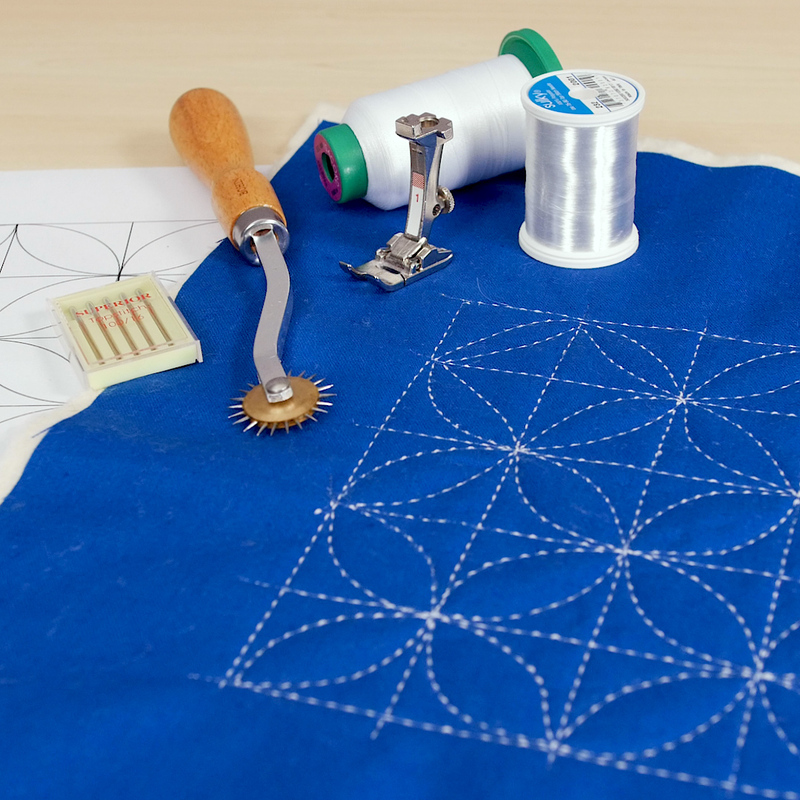 The hand-look quilt stitch increases the top tension and uses a back-and-forth stitching motion that causes the bobbin thread to pull to the top at the ends of the stitch. The backside will be a solid white. What stitch number is that on the 440QE? Hello fancy, you can check your 440 QE manual and look for the hand look quilting stitch on your model. 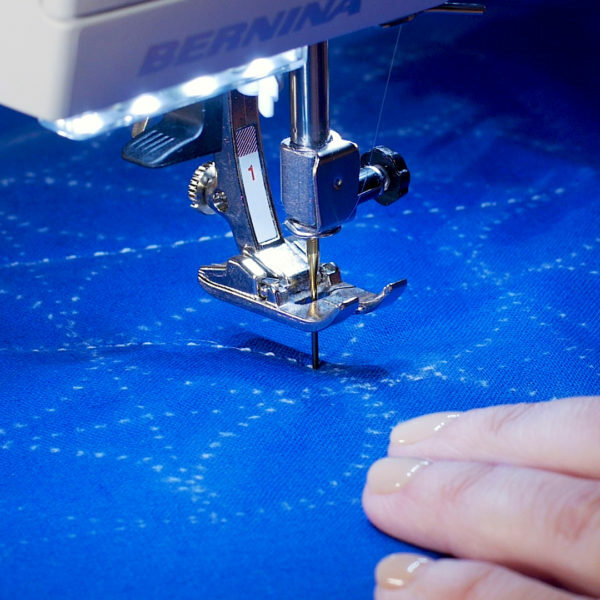 If you need help finding the stitch you can connect directly with your local BERNINA store for personal help.